How Should a Christian Handle Conflict? If you have a grievance against your brother or your sister, then do your best to clear it up. 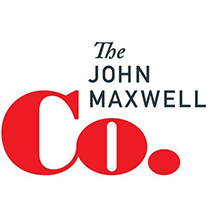 John Maxwell offers eight rules for creating and developing right relationships. We're going to talk about how God dealt with the church concerning a relationship that was not right. Our message is on dealing with relationships and how to approach others when we have conflicts. Please turn to Revelation Chapter 2. I wonder how many of you would raise your hand and say, "Pastor, in times past, maybe in times present, hopefully not in times future, I have had hard times in relationships with friends, family or others." Just raise your hand. You talk about a message that comes home. No wonder I'm preaching on this. I can see again it hits all of our lives. I think none of us have escaped a wrong-misunderstood-bad-negative relationship. And the difference between the Christian and the non-Christian is that our whole mode of operation is much different than that of the world. In the world, they can fight back, they can ignore. But as a Christian, under God, we are to do some specific things. Have you ever gone into a store with a lot of posters, where you just spend time looking at the posters and reading? The other day I saw one, and I thought it was so relevant to what I'm going to do today. It said, "Involvement with people is always a delicate thing. It requires real maturity to become involved and not get all messed up." It's true with all of us, isn't it? I think that many of us feel like at times like Charlie Brown, who, in one of his days of feeling great as a philosopher said, "I love mankind; it's people I hate." Have you been there before? The reason I preach a message like this is because our happiness will be more greatly determined by our ability to relate with one another than by any other single ingredient. I can promise you the contentment that you find from life will always be from your ability to relate with others in a positive way. I know I have you in Revelation, and I'm coming there. Hang there. But in Genesis 2:18, the Lord said, "It is not good for man to be alone. I will make a helpmate suitable for him.” When you really study that message, you can find two basic reasons why we need relationships. God really said that we need to have relationships to prevent isolation. Isolation is not good for an individual. I want to talk to you a moment about isolation, because there is a tendency for us to withdraw when we have negative relationships. I want to go on record this evening as saying I am my holiest when I’m isolated from everybody. I am really godly. You just remove me from Joel Porter, from the rub of the daily routine. Just set me apart in the upper room and allow me not to see, talk to, or hear anyone -- you allow me to stay away from any kind of relationship, and I can just get down right disgusting as a saint. But the moment I come out of the upper room or the prayer closet, or the moment that my feet hit the road and I see people, that's where the difficulty comes in. Amen? Spiritual growth begins in isolation, but it never matures there. It must mature on the highway of relationship. That's where we grow strong and become sharp, where iron sharpens iron. I believe that the maturity of a Christian can only develop when we interact in relationships. So it's good to get away. But we'll never grow being a monk in the monastery or separated from a real world. The real world has problems, conflicts, misunderstandings. 2. We need a helper. Adam needed a helper. Not to cook the meals, because in that day they just pulled the fruit off the tree. Not to wash the clothes and mend them, because in that day they didn't have any. He did need a helper to help him serve and obey God to his fullest extent. Every one of us has tried our very best to do something just right, and had somebody total misinterpret us. Immediately we find ourselves in some type of conflict. And what do we do? I’m going to suggest 7 things in 7 minutes. I told you I wasn't too godly when I’m with people. Maybe it’s70 minutes, I'm not sure. Ready? I had you turn to Revelation 2, where we see Christ confronting a church. I want you to notice how he did it. I find that Christians, instead of going to the person they have a problem with, do all kinds of unbiblical things. Look how Christ dealt with the church at Ephesus. Verse 2. "I know your deeds, your toil, your perseverance, and that you cannot endure evil men. And that you put to the test those who call themselves apostles and are not, and you found them to be false. You have persevered, and you have endured for My name's sake and have not grown weary." A. Focused on the good. Do you notice how He talked about their good traits? "I know your deeds, your toils, your perseverance, and that you cannot endure evil men ... you have endured for My name's sake." He immediately zeroed on their pluses. One of the most damaging things we can do is infer that loyalty is not what it should be. It's one thing to make a mistake; it's something else to be a traitor. So when the Lord confronted the church at Ephesus, he said, "I want you to know that I have witnessed your good deeds and do not in any way question your loyalty to me." Now, in verse 4, "But I have this against you: you have left your first love. Remember therefore from where you have fallen. Repent and do the deeds you didn't at first, or else I am coming to you to remove your lampstand out of its place, unless you repent." He spoke very clearly to their problem. He spelled it out. I want to, again, encourage you; there is no easy way to deal with the real conflict with a brother. Get it out. Lay it out. He offered a very simple solution. He, in fact, shared with them what they could do to get that relationship back on track. Okay. Many times when we have a relationship problem with someone else, we find that the thing that we really dislike about them is one of our own personal weaknesses. Can I give you a biblical example? Remember when Jacob deceived his brother, Esau, and took off to Uncle Laban's house? I mean, he ran as fast as he could. And when he got there, he found out that Uncle Laban was also a deceiver. Remember, after he worked 7 years for beautiful Rachel, at the wedding he found out that instead of beautiful Rachel, he had plain Leah. Boy, was he mad. In fact, with humor and laughter, I went back to that passage in Genesis 29 where Jacob said, "What is this that you have done to me? I served you for Rachel, didn't I? Why have you deceived me?" You talk about the kettle calling the pot black. The very guy who had deceived his brother, now is being deceived himself. You see, God knew that Jacob needed to have that weakness of his own life exposed, and so he exposed it through someone else. I have seen this happen many times. And when that happens, instead of backing up defensively, we need to say, "Thank you, Holy Spirit because you're beginning to reveal to me who I am and helping me learn my lesson." Many times I've seen father-son conflicts, and the very thing that the father conflicted with the son on was his own weakness. So we need to say, "It's me, it's me, oh, Lord, standing in the need of prayer..." -- not my brother. When you have a relationship problem, ask yourself if it is exposing a weakness in your life. If you continually have relationship problems and run into conflict; then look for the areas in your life that are really causing the problem. Quit always blaming someone else. I love the story about the guy talking to the psychiatrist. He had a cantaloupe on his head for a hat, and he had a piece of bacon wrapped around each ear. You got it pictured in your mind now? The psychiatrist saw him coming and said, "Oh, I got a real live one here." And the guy came into his office and sat down and as said, "I want talk to you about my brother." How many times do we walk around with cantaloupes on our head, bacon wrapped around our ears, wanting to talk about our brother? Leah and Rachel would be an example of that. Married to Jacob, Rachel did not have children. One time she even said to God, "Give me children or I'll die." Remember what Paul said over in 2 Corinthians 10:12: "We're not to dare to classify or compare ourselves with others who commend themselves. They measure themselves by themselves, or compare themselves with themselves; we're not wise when we do that." I have noticed that there are three especially vulnerable types of people in this comparing themselves with others. One would be teenagers. Because of peer pressure, there's a strong comparison with each other. How do I make this next statement so I can graciously leave town without being stoned? I would preface it by saying I am probably mistaken, and not totally inspired by God. The second group would be women. Thirdly, highly competitive people have this problem, too. It's just not healthy. We're made different. We have different personalities. Thank God for who you are, the place that you have in His kingdom. If you've got bitterness in your life, just blow it up. Get rid of it because bitterness will kill you. There's a difference between anger and bitterness. Anger comes and it goes, but bitterness stays. It has a root. No wonder the Hebrew writer referred to bitterness as a bitter root. We suffer personal rejection, or we suffer personal loss, and we become bitter. As we grow old, we get more bitter until we are almost totally unapproachable. What do you do with bitterness? Confess that bitterness as sin to Christ. Ask God to help you to accept the source of your bitterness. Now I am not saying relish your hurt and count it as good. I think that God has control, and I think David did an excellent job talking about the character of God. But when you look at the source of your bitterness, ask God to help you to accept it. Not always praise God about it, but at least accept it as a part in your life. Because, you see, every situation will either make you bitter or better. What are you going to allow it to do in your life? Ask Christ for power to forgive that person who has offended you. In Ephesians 4:31,32, you know what Paul said about this? "Get rid of all bitterness rage, and anger. Be kind and compassionate to one another, forgiving each other." Psalm 147:3, "God heals the broken hearted, He binds up their wounds." Paul tells us in Ephesians, “Don't let the sun go down on your wrath.” Take care of it quickly. I Thessalonians 5:15, "Do not repay anyone evil for evil. Make sure that nobody pays back wrong for wrong, but always try to be kind to each other and to everyone else." Peter stresses to us in I Peter 3:9, "Do not repay evil with evil or insult with insult, but with blessing." Remember when Saul was chasing David and his men, and went into the cave where David was hiding? Some of David's friends said to kill Saul. David would not. When Saul got away from the cave, David yelled out: "I will not lay my hand on God's anointed." He was not about to return evil for evil, but good for evil. It's not easy, is it? Fortunately, I grew up with a father that modeled that incredibly. I never will forget when I was 5 or 6. My brother, who was a couple years older, and I had been playing in a lady's yard. I think we had been tiptoeing through her tulips, and the fence kind of got broken down a little bit where we tried to hop over it and didn't always make it. I never will forget her coming over and talking to my father about it. And I remember standing in front of that lady apologizing. You know, crossing my heart, hoping to die. Figuring that I probably would when she left anyway. Then I can remember Dad telling Mom to make an apple pie. And then my brother and I took the apple pie over to the lady, told her we were sorry. We gave her apples pies every week for the next month. The Bible tells us to rejoice with those who rejoice, and weep with those that weep. I'm afraid too many of us do good at weeping with those who weep, but we don't rejoice with those who rejoice. How do you inwardly feel or react toward your friends' success? Let me close with this one. I think many relationships could be cured if one person would just step out and take the risk of saying, "I love you. I care for you. You're special." I sometimes ask myself, "Why don't we do that?" Why are we so closed in not showing our affection for one another like we should? I think one reason is that we don't like being vulnerable. We also don't like to be wrong. And we certainly don't want to express appreciation if they’re not going to return it in a proportionate way. I think that many of us, as we grew up, did not have an affirming background, so we find it hard to compliment and praise and encourage. I think sometimes we feel that openness is a sign of weakness. Let me close with these two passages of Scripture. Paul tells us in Philippians 1:8, "For God is my witness, how I long for you all with affection of Christ Jesus, my beloved brethren, whom I long to see, my joy and my crown." There was a man who loved and cared. 2 Timothy 1:3-4, "I thank God night and day, and I constantly remember you in my prayers, recalling your tears. I long to see you that I may be filled with joy." Fantastic. When I was back in Ohio, my father visited my house one evening. I said, "Dad, where have you been?" He said, "I went down in the Zanesville area to see Mr. Turner." I knew him. He was in a nursing home, and was probably about 88, 89 years of age. I remember being in this preacher's church when I was just a young kid. When he was probably, you know, pretty old, and he was still preaching. He had been faithful to God, but he never did have a big church. Probably didn't have a church over thirty ever in his life. Never had any kind of recognition. I just made the automatic comment and said, "Dad, why did you go down and see Brother Turner?" I never will forget, he said, "Son, as I was praying the other day, I began to make a list of people that had served God faithfully, but now had come to the place in their life where they were unable to because of age and health, etc. I decided that I'm going to try one day a week for the rest of my life to walk into their life and spend a couple of hours just praying with them and loving them and encouraging them." He looked at me with a twinkle in his eye, and said, "Son, remember this. You’re always worthwhile to others when you encourage them, when you believe the very best in them." Amen? You got something against your brother or your sister? Do your best to clear it up. Show the spirit of the Lord Jesus Christ. Be loving, be kind. It may never be patched up the way you want to. It may never turn out exactly the way that you desire, but do your very best to make it the best way and then look at that experience and say, "Now Lord, I have a choice: I can either be better or bitter because of it." Let's let every relationship make us better for the Lord Jesus Christ. And all of God's people said, amen. 2. We need a _____________________________________________. A. Focused on the ________________________.